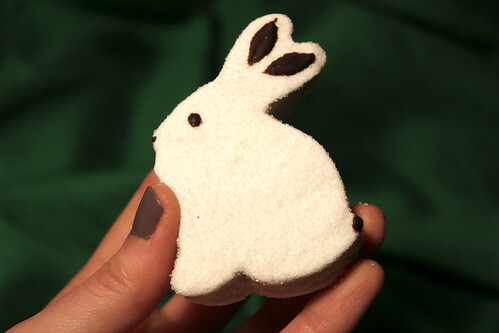 Every year I look forward to my annual order of vegan peeps from Sweet & Sara. 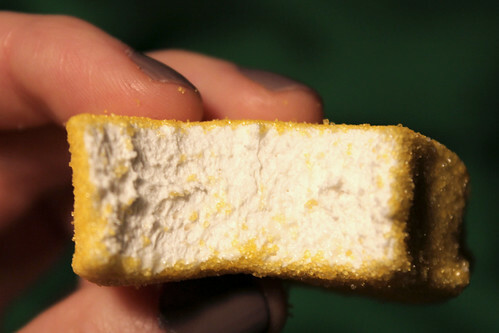 I remember when I first became a vegetarian, and realized I could not eat marshmallows anymore. 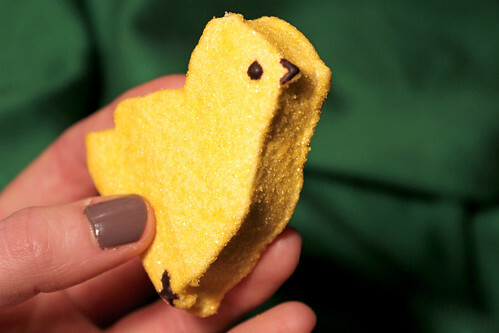 I missed eating peeps around Easter time, and there was no replacement for them. Even regular, plain marshmallows were a challenge: I did find some strange brownish-colored vegan marshmallows at a health food store in my hometown, but they did not quite live up to my expectations. It wasn't until I moved to New York that I discovered Sweet & Sara's amazing vegan marshmallows. A vegetarian friend of mine bought a box of them from Whole Foods, and I was instantly in love. Later, when I moved into my current apartment in Astoria, I was thrilled to learn that Sweet & Sara's factory is located in Long Island City, just a short bike ride away from me! These peeps are the cutest - they come in bunny and chick shapes, and they are coated in the tastiest layer of sugar, with hand-painted chocolate features. I bought quite a few (plus one of Sweet & Sara's delicious s'mores treats), and it is taking all my willpower to resist eating them all right away! Order online and have them shipped to you, if you don't live nearby! Order quickly, as they will definitely sell out! I also saw these peeps for sale at Lula's Sweet Apothecary in the East Village last week, but I cannot promise they are still in stock. 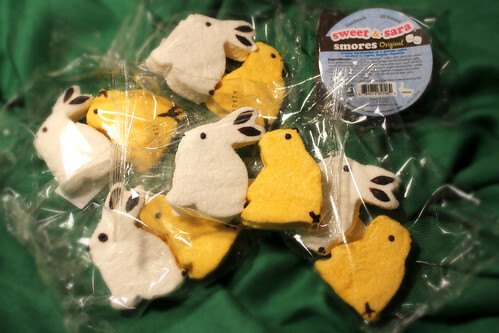 There are plenty of retail locations that stock Sweet & Sara marshmallows (check website for more information) but not all locations stock all of the products or seasonal items like these peeps. I picked mine up while on vacation in Austin last week because I was so afraid they'd sell out! Annual peeps are nothing to mess with. Gorgeous photos! I have been visiting your blog from past 3 months. The style of content flow looks to be marvelous.I would personally recommend our blog visitors to subscribe our posts to obtain useful posts like this periodically.